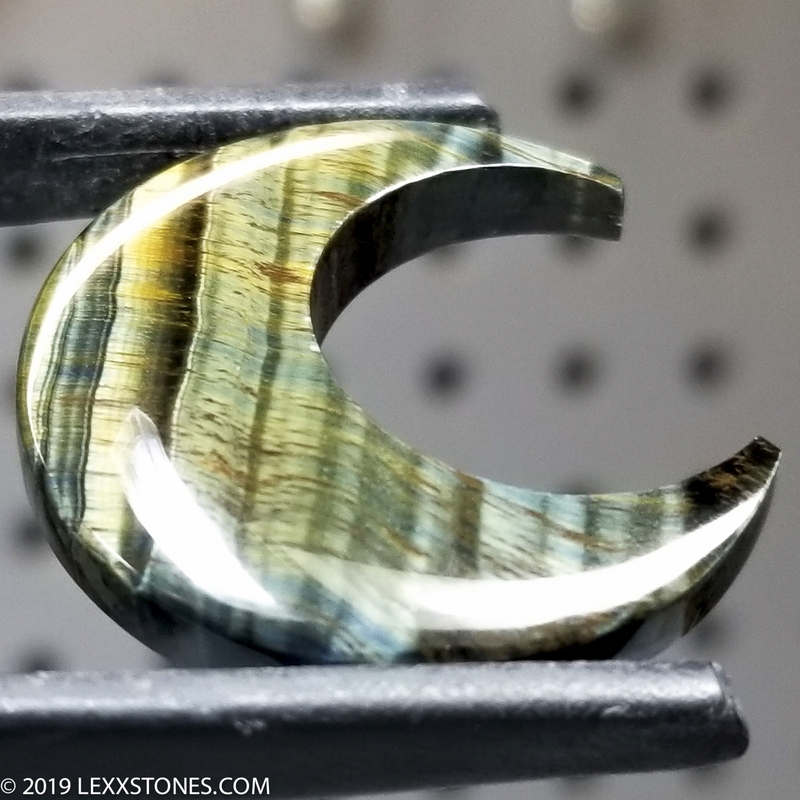 Here for your consideration is an outstanding Variegated Blue/Green/Gold Tiger Eye Cabochon. This specimen was cut from old stock and displays a wonderful array of shimmery chatoyant bright Limonite yellow tightly interspersed with soft tones of Blue Crocidolite. The tight variegated banding displays a green effect. Perfectly oriented cut and a crescent moon design, it flashes from all angles. Standard dome and bezel. Vitreous polish front and back. 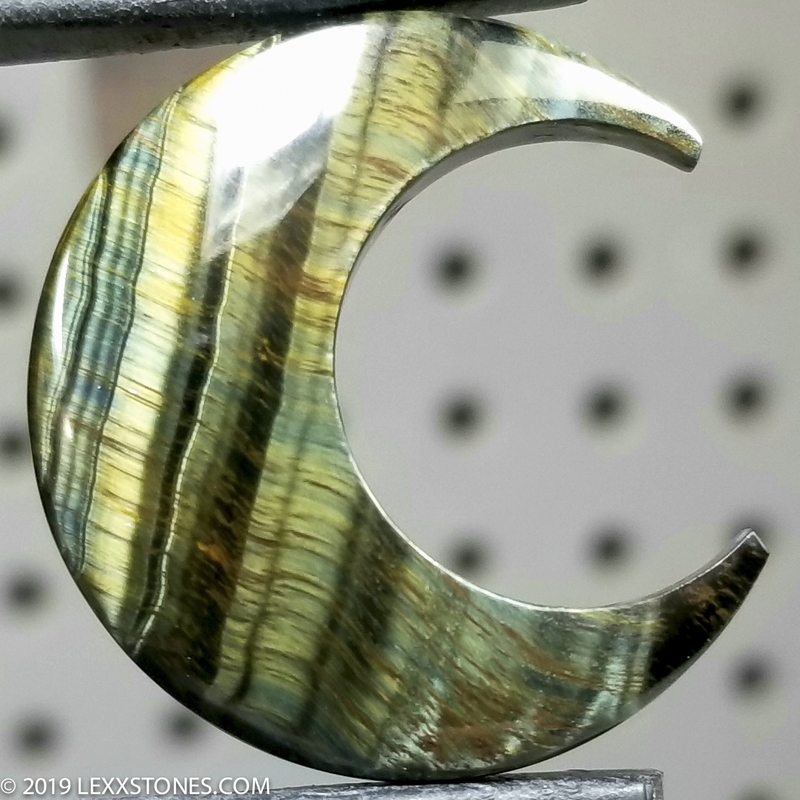 This Variegated Tiger Eye will make a gorgeous bezel set, wire wrap, pendant, bracelet piece. A cool collectible as well! Photographed indoors under full spectrum LEDs to exhibit it's spectacular chatorancy.